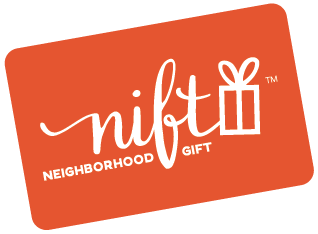 I loved my nift card! Great place and the donuts are exceptionally delicious! Great selection, just drive past Dunkin Donuts! Food was great. Staff was great. I don’t think I ever would have stopped in had it not been for nift. Now it’s on my radar and can’t wait to go back! Quality diner food, good service. Small restaurant though so often have to wait for a table or seat at the counter if you arrive during the breakfast rush. We live close, but have never been. Glad we finally made it in and will definitely be back! Great place, happy to have discovered it!! Friendly, affordable and most importantly, delicious!!! The housemade corned beef hash was excellent. The home fries were seasoned and sans skin and that's a plus. my over easy eggs was cooked a bit unevenly with one being a bit snotty. The toast was cold when being buttered so the butter didn't melt. Breakfast and service was great. Great little diner tucked away in a strip mall. Great food and staff, we got a few donuts after brunch which were amazing! We love donut Villa, awesome donuts and awesome staff. A definite bargain! The donuts were amazing. Everyone at the office loved them! Everyone is always very friendly and nice and the food is good. A real neighborhood diner. My omelet was great and the donuts are fantastic. Donut Villa Dinner is a warm, comfortable place with delicious food, friendly service and really tasty donuts! It's a little bit old school, full of local folks. I'm glad to have discovered it, and I will certainly go back. Friendly staff and helpful in selecting our donuts, but some of the donuts seemed a bit stale. Overall the favors were good, but they didn't seem as fresh as we were expecting. We were at the shop a bit before 11am on a Sunday when there were still plenty of donuts still available. Friendly staff, bright and clean and a great breakfast. Really cute place! I got the steak tips dinner, which was great. I visited the diner around 1pm and they were out of doughnuts. I'll need to stop by earlier to try them! Donut Villa was great. Good service and tasty food. Glad I went! Donut Villa donuts are lightyears ahead of that Dunkin out front. Very friendly service, good value, and a unique, local product! Throw back diner with great food. 5. Friendly service, lots of healthy menu options and good prices for huge portions. Great little spot, so glad I found it through Nift! I got the greek omelette and the portion was huge! Staffs were friendly, will definitely return! Food was great! Thank you. We will be back. Awesome customer service with great people! It was great; My Lox Bagel needed capers and red onions, but aside from that it was good. Incredible breakfast creations. Delicious and very reasonable. Breakfast was delicious! The donuts were too. Really cute and homey place. The staff was also incredible.